We understand that conducting discovery is a time- consuming piece of the litigation process. While there are many tools designed to help, all too often they focus exclusively on a single task or step, leaving you to fill in the blanks with additional tools. A complete solution should deliver much more functionality than just document review. 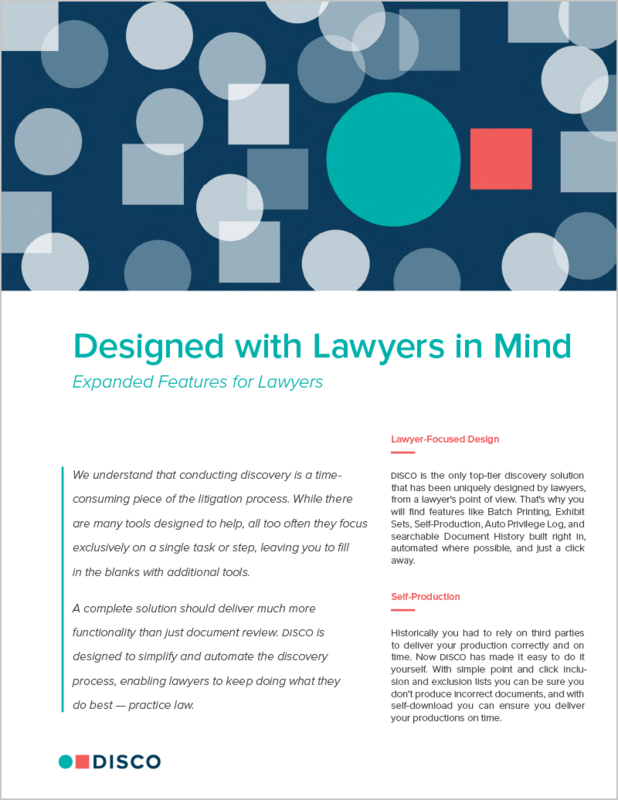 DISCO is designed to simplify and automate the discovery process, enabling lawyers to keep doing what they do best — practice law.